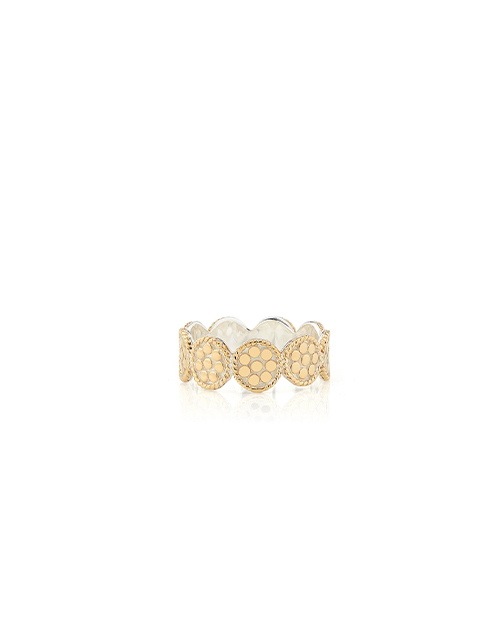 Gold-plated mini disc band ring. 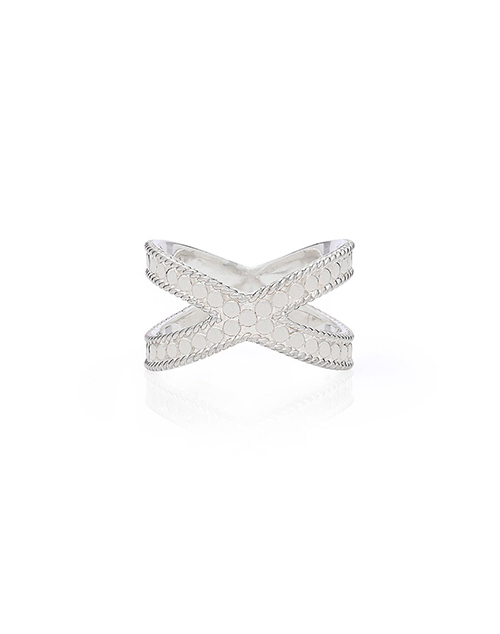 Wire-rimmed silver single cross ring. 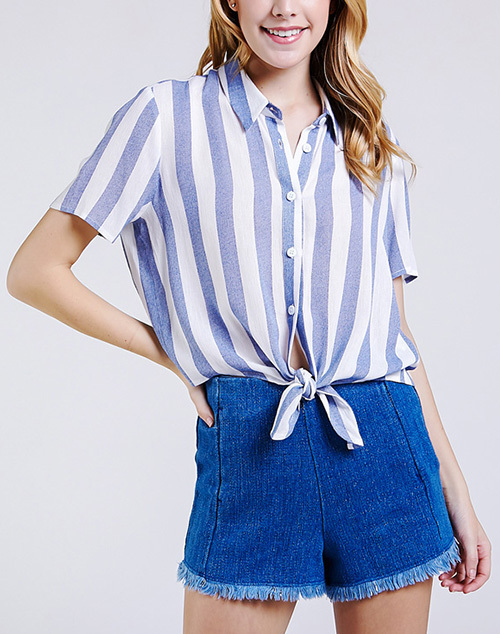 V-neck, button down tie front with racer back and adjustable straps. 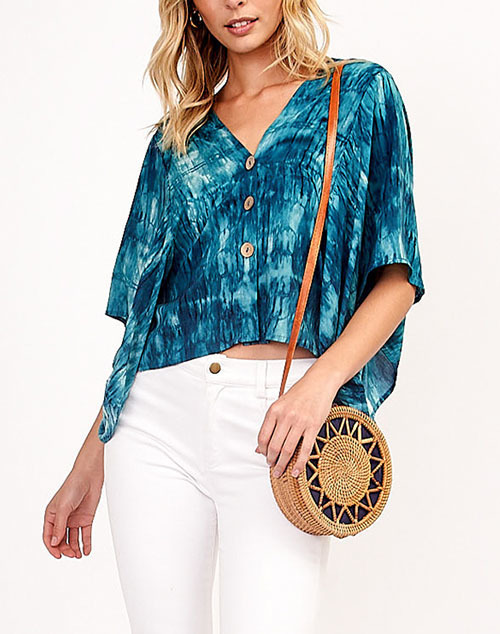 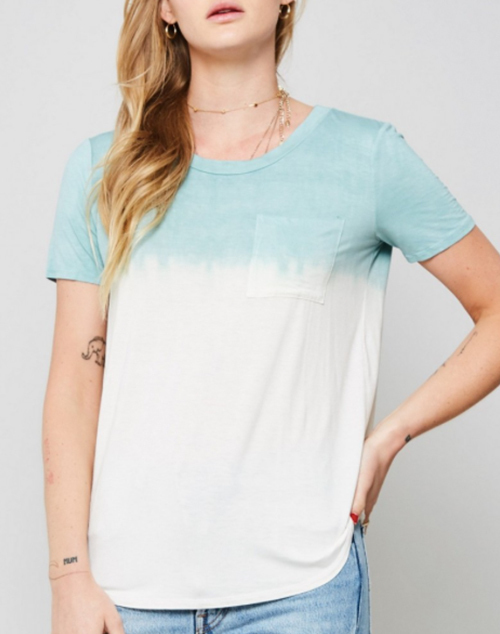 An ombre tie-dye knit top featuring round neckline, short sleeves, and chest single patch pocket. 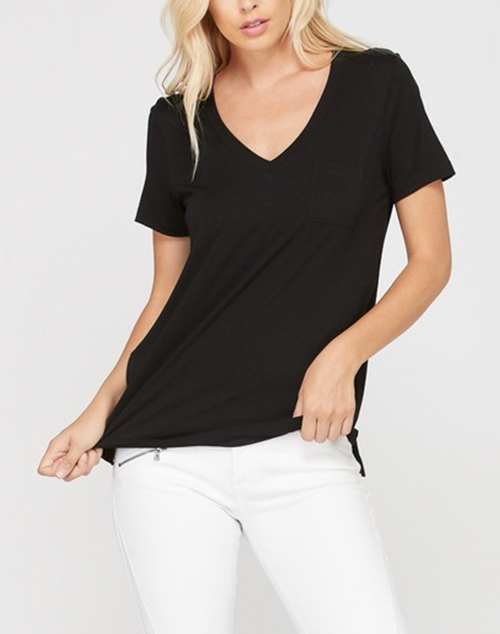 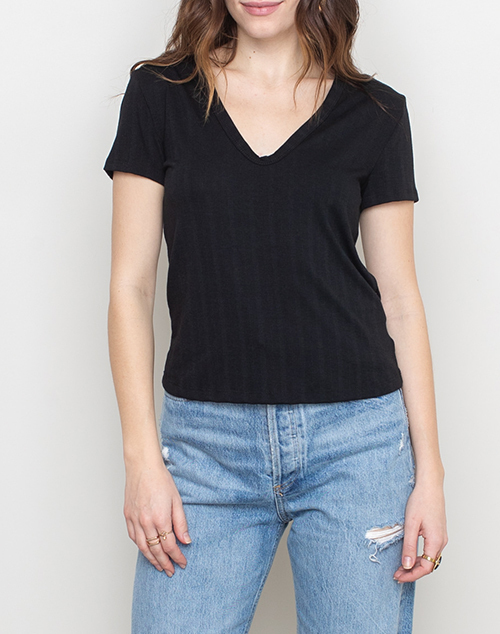 A soft modal v-neck tee with eyelet lace up detail at chest. 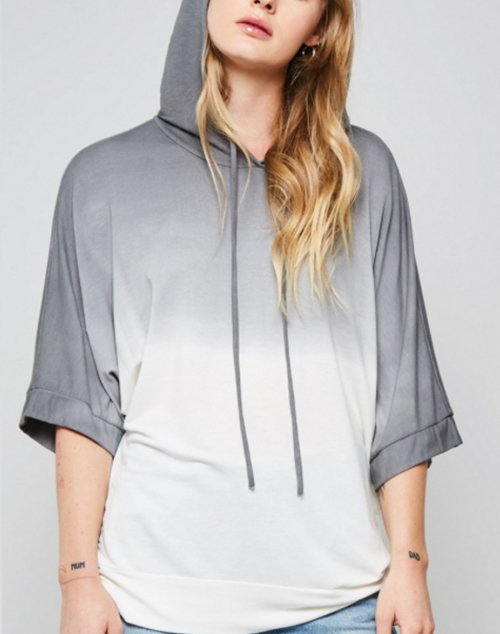 An ombre tie-dye hoodie top featuring drawstring neckline, short dolman sleeves with ribbed cuffs, ribbed hem, and loose fit silhouette. 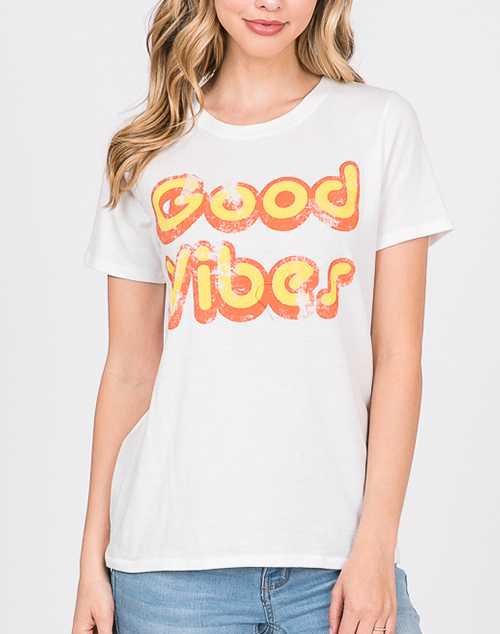 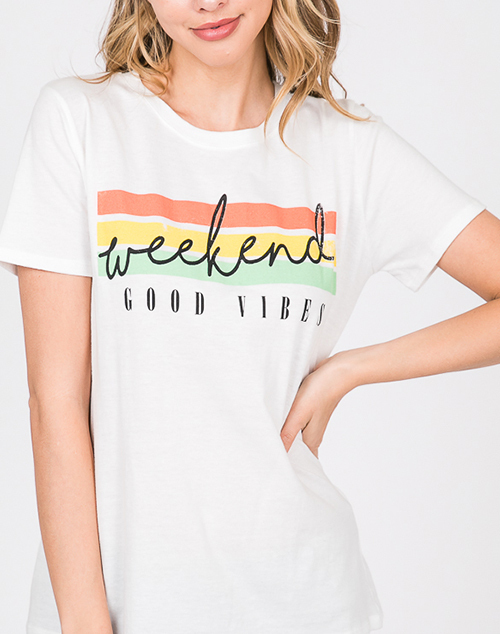 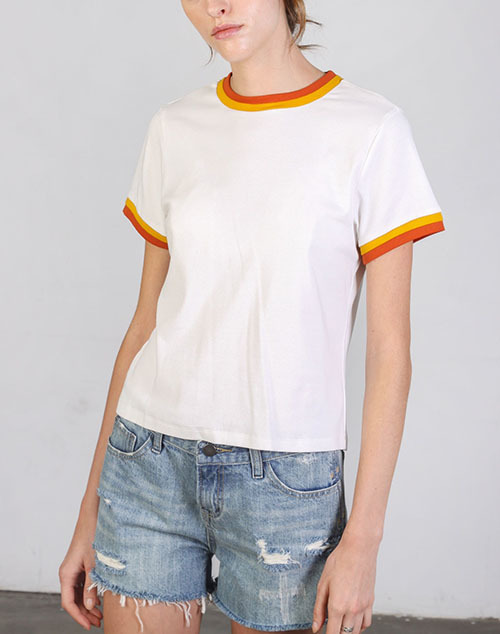 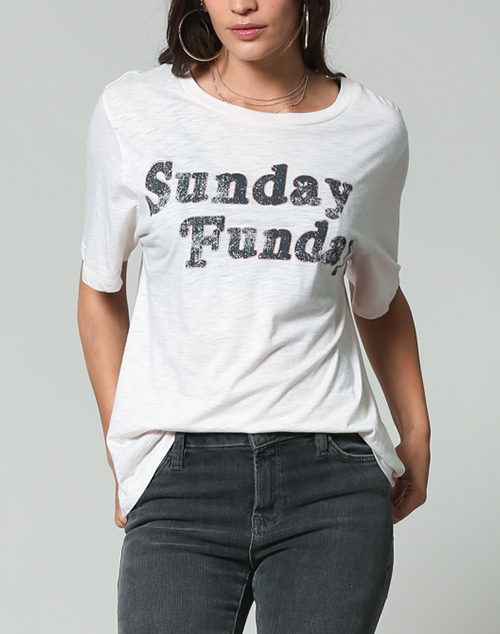 Simple and comfy tee with detail on collar and sleeve. 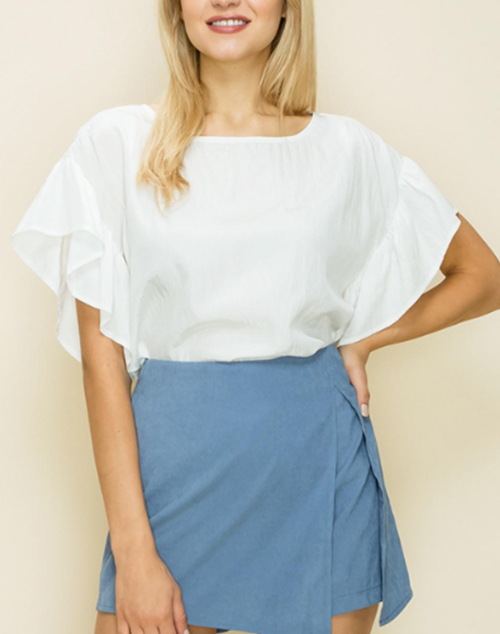 Soft basic short sleeve top with sleeve fold. 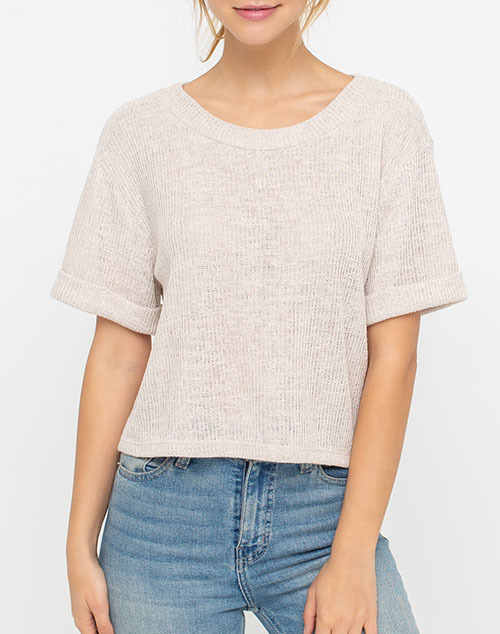 Contemporary fit. 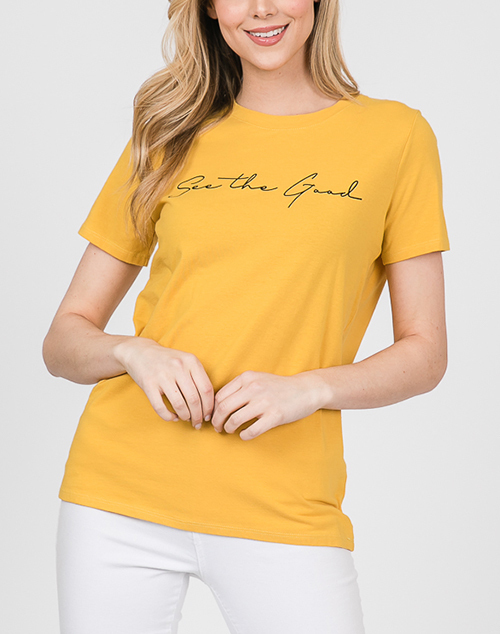 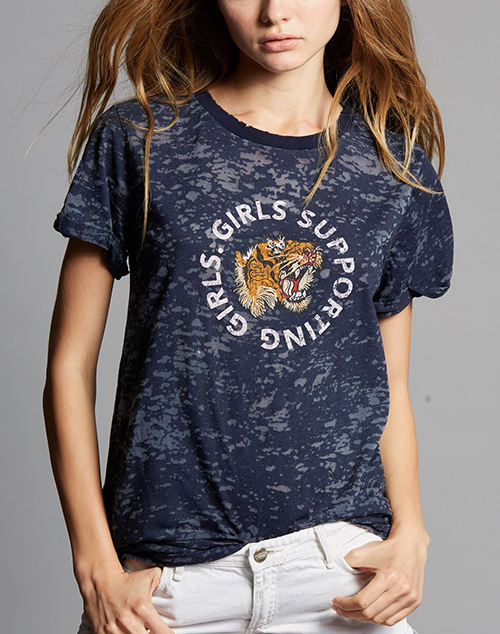 Show your support for each other ladies! 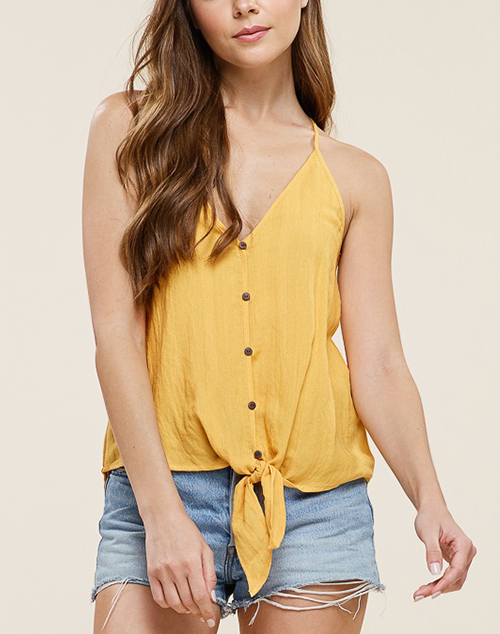 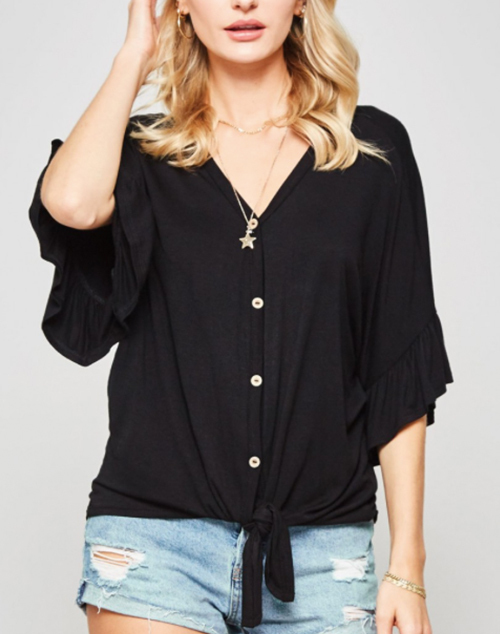 A casual knit top featuring V-neckline, short dolman sleeves with ruffle hem, button-down front, and knotted waist detail. 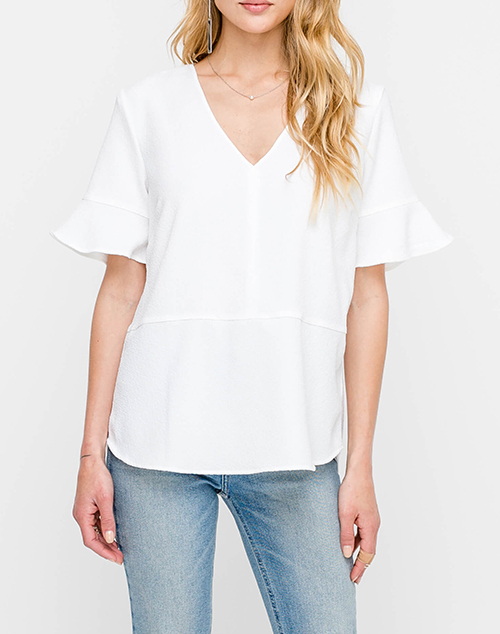 This top is made with a medium weight fabric that is very soft and drapes well. 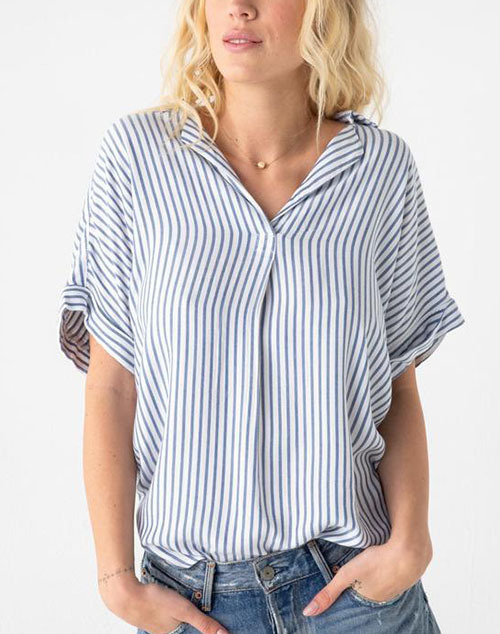 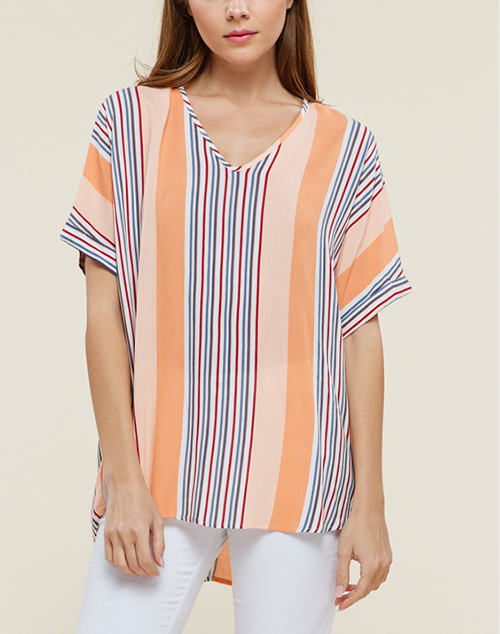 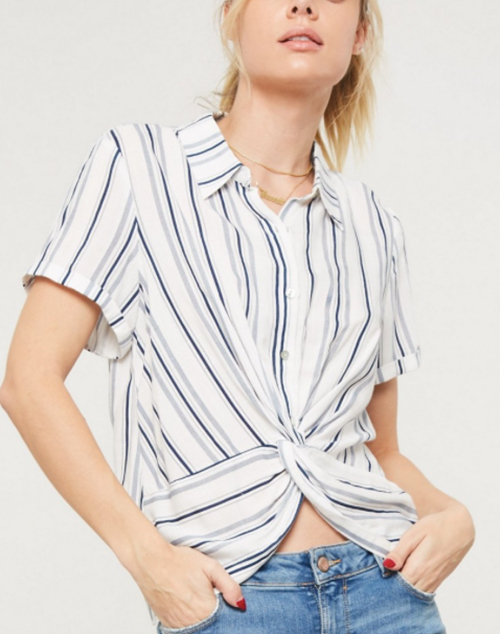 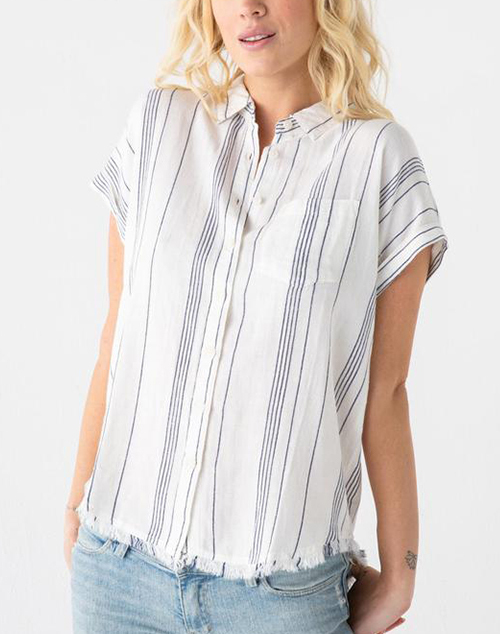 A stripe print woven cropped shirt featuring basic collar, folded short sleeves, button down front, and twisted hem design. 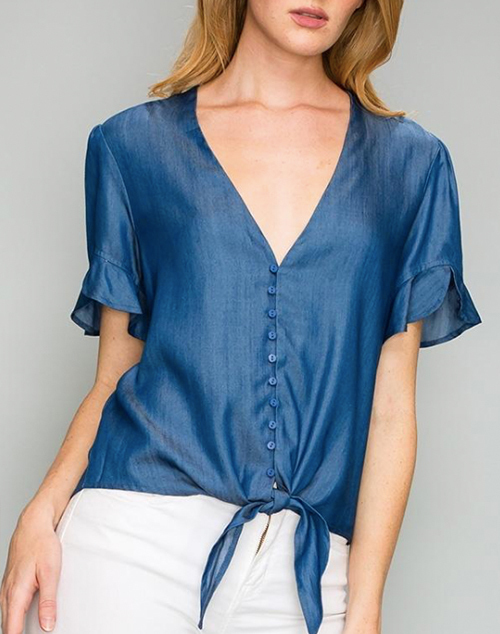 Button down top with front tie and ruffle sleeve in a beautiful blue. 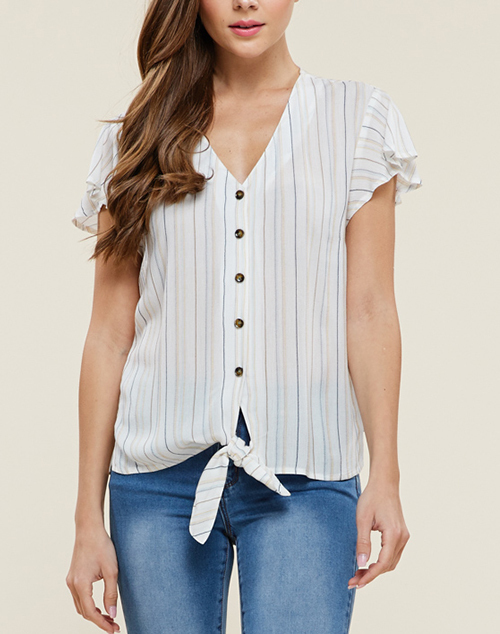 Off white ruffle sleeve with black polka dots and large brown buttons down the front. 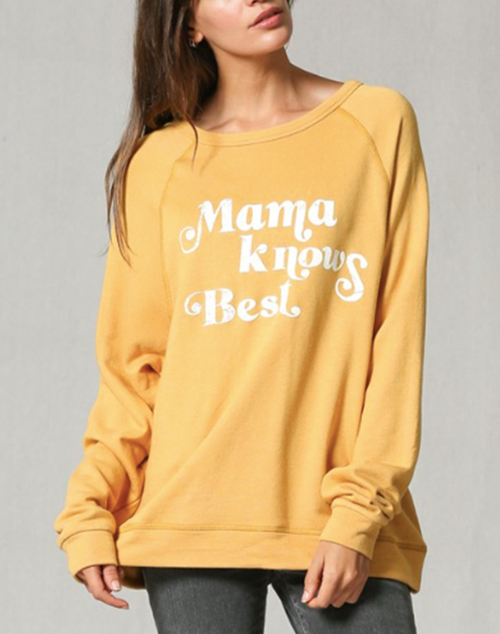 Be the first to know about new products, exclusive offers and more! 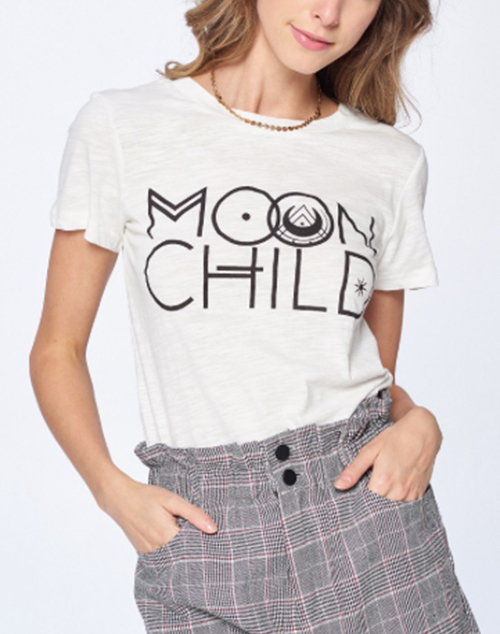 Are you local to the Ocean City?